There's lots to do and see in Nottinghamshire. To help you make the most of your stay we have put together 30 things that you can do for free on a day out in Nottinghamshire. We have tried to provide a variety, from trails of Robin Hood, local villages and Towns, to Galleries, Museums and Art Centres. Many are run by charitable organizations, most have no advertising budget so you will not of heard of them, but all will offer a warm Nottinghamshire welcome and hopefully you will feel predisposed to some charitable giving. 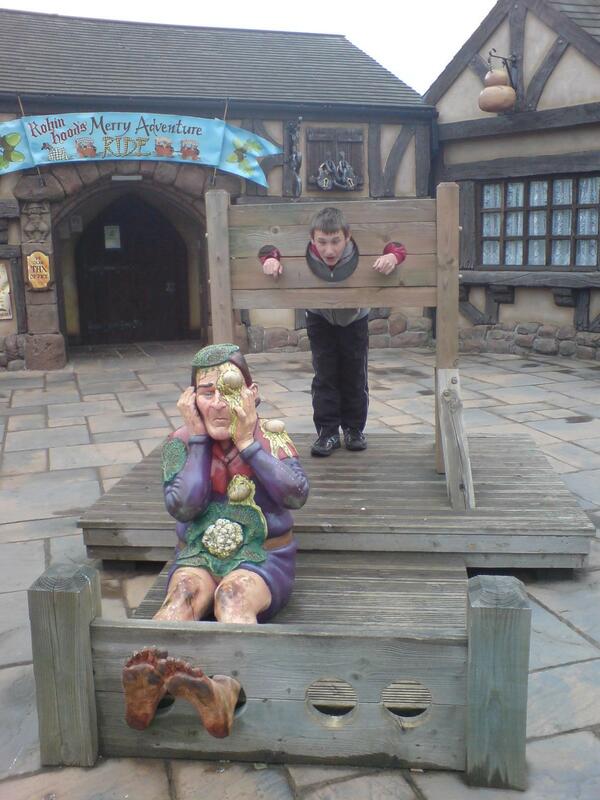 A free self guided audio trail for use in the car, it visits 12 places of significant importance to Robin Hood around Sherwood Forest, with masses of historic information on the sites and along the route. Full tour can take several days but can be abbreviated. A CD and map may be purchased from the Retford Tourist Office or from this website. 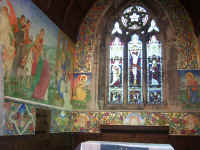 The largest single work of art in the east of England and of great significance to Scottish art history since they were produced by , these murals are to be found in Clayworth Church. Entry is free but a request for a donation is made for their upkeep. Housing a turntable built to turn trains around, this is one of the best preserved in the UK and is still used as part of the mainline. Operating as a charity offering storage and repair facilities to engine owners, it houses ~30 steam and diesel engines which can be seen by visitors up close and personal. There is a tea room and small shop. Admission is free but a small donation is suggested. A walk around the historic market town of Retford, historic sites to see together with a tourist map offering a choice of routes. Click here. From the car park (which is not free, but can be avoided by parking a short walk away) a trail starts that has a musical influence. At regular intervals there are giant musical instruments that can be played resounding around the forest clearings. Great for youngsters. Phone the Newark Tourist Office to find out when concerts take place in the open air park in the centre of the Castle. Its a superb setting for a musical afternoon. Bring a picnic in summer to sit out on the beautifully manicured lawns. And its free!! This gallery has a wide variety of works of art from many young, up and coming artists. Fascinating pictures, pottery, glasswork and much more. There's a free museum next door with lots of information and artifacts from the history of the locality. Also on site is a Farm Shop which is worth a browse, pick up some Stilcheon cheese, the original stilton only better, which is made nearby. Recently refurbished and beautifully presented. A wide variety of local artifacts and history including a boat of national importance. A must see. Free but donations requested. This one of the oldest canals provides excellent walking through the picturesque countryside. My favourite is North of Retford, see www.robinhoodtourism.co.uk/walking.htm. Help a boat through the locks and you may get a free ride down the canal!! Laxton still operates strip farming and is the only village in the UK to do so. This medieval method finished in the C17 in most vilages, but somehow in this village that time forgot they just never got around to sorting things out. Visit the fields, see how its done, see the site of the castle then visit the free museum in the centre of the village next to the pub to find out more. In the centre of the village on the green stands the prison. Big enough for just a couple of cells and is intact. There are open days in the summer, find out when from the village post office. At the heart of the smallest Diocese in the UK is Southwell Minster, a fine beautiful setting in this most picturesque town. Full of original old shops. There is a free museum/information display in the cloisters that should not be missed. A traditional festival in the village of Ranskill where a multitude of huge scarecrows are displayed. A Scarecrow trail takes you around to view up to 50 scarecrows made by the villagers. In addition there is a flower festival in the village church and a fete. Village life at its best!! The Giants being the infamous Oak trees around Sherwood Forest. 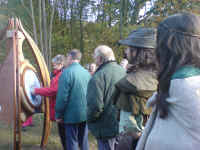 A walk starting at the Sherwood Forest Visitor Centre takes in many of the Oak trees including Robin Hoods major Oak. Some are fallen and may be clambered on, around and even through by some of the smaller party members. Information from the centres Visitor Information point. A self drive trail taking in the significant buildings relevant to The Pilgrim Fathers. At each place there are information points provided by the local council and more information can be found at Retford in the Tourist Information Centre, Museum (see above) or Library. Not related to the Mayflower that sailed to America, this is the annual village festival that includes the tradition of dancing around the maypole. Join in the festivities with the Morris dancing and the fair. Littleborough is the site of the Roman Crossing of the River Trent towards Lincoln. In the fields many relics of the time have been found and are displayed in the Retford Museum. 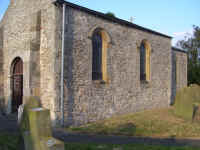 The church is one of the smallest in the country. Take a picnic, or stroll along the River banks. Don't miss seeing the toll house about a mile away on the road to the village. 20) Markets & Farmers Markets. Three times a week a large market takes place in Retford Market Square, Thursday & Friday are bric-a-brac and Saturday is a general market. Once a month Farmers Markets are held in Retford and Worksop. Farmers sell a wide variety of local produce from the usual to the more unusual, try boar, venison or local cheeses and honey. 21) Ollerton Village & Watermill. This picturesque village deserves a good walk around to discover its old buildings, look out for Robin Hood Cottage. But at the heart of the village is the working watermill and museum. View from the outside or pay a small admission charge. Above is a wonderful tearoom that won best teashop in Britain. Newark was instrumental in the final days of the Civil War and still bears many of the scars. This walk around the town highlights many of its old buildings and their importance in the period of the Civil War. 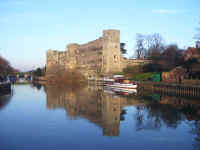 Details can be obtained from the Tourist Information Centre or from www.robinhoodtourism.co.uk/towns/Newark_heritage.htm where you can find a town map and details. Brass bands from all over the area converge on Southwell for the annual Scout Bands competition in May. Usually over 20 bands march through the streets in an exciting spectacle on the way to Southwell Minster where they hold their thinking day service. The largest park in Europe is owned here by the National Trust. Take a stroll around the picturesque lake or further a field through the Sherwood Forest. Bring a bike or hire bikes at the centre (charges apply) where there is also a shop, restaurant and information centre. Parking is free for trust members or park off the entrance road and walk. 27) Pilgrim Fathers Inn - Scrooby. Scrooby is the start of the Pilgrim Fathers story and retains several houses lived in by the founders of the organisation. On the main road is the pub, Pilgrim Fathers Inn, which houses a collection of memorabilia, maps, books and information on the Pilgrim Fathers. A gallery that contains a wealth of fine local art as well as some names from further a field, displayed in a wonderful relaxing setting. Ideal for those who enjoy art. Forget the fine church, its link to the Pilgrim Fathers or the picture perfect pub on the village green, duck pond and ducks. Sturton has a great, modern, play facility that any youngster will appreciate. 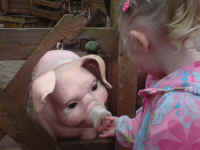 A free alternative to Sundown Adventure land in the nearby village of Tresswell - which itself offers a reasonably priced theme park for the young and young at heart. Housed in part of the museum building, this gallery has a regular turnover of art exhibitions, so it could be pictures of steam engines or photographs from the local photographic club. Whenever you visit, you're sure to enjoy the display.